Rendered a dark silhouette, and seemingly unimpressed, the outgoing vice president carried on talking about the West's ideas and visions of the world. "If we don't fight for our values, no one else will," he said from the darkness. Biden used his final major speech while in office to accuse Russia and President Vladimir Putin of "purposefully" aiming to "collapse the liberal international order." Having stressed the importance of NATO being on guard against alleged Russian aggression, the US official said Moscow had "a different vision for the future." 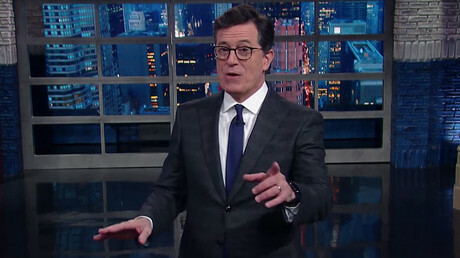 In his remarks – while still in the light – he didn't miss the chance to accuse Russia of "cyber aggression," alleging it was used on Putin's orders to meddle in the presidential elections in the US. European countries holding elections this year should be aware of "further attempts by Russia to meddle in the democratic process," he added. 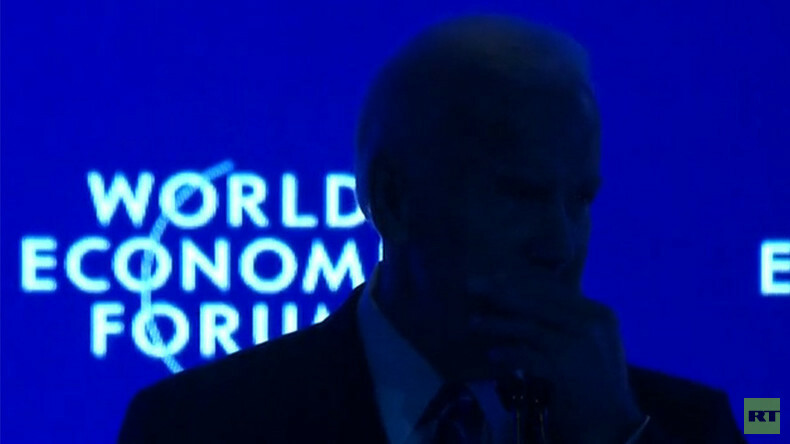 With Putin seeking to "collapse" the world order, according to Biden, as of today yet another question remains unanswered: who meddled with the lighting system in Davos?